Some dogs in our shelter are available for a free, 3-day sleepover! 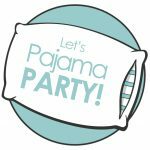 Look for the “Let’s Pajama Party” icon on their photo, or the sign on their kennel. And please ask us about pajama parties when you come in!